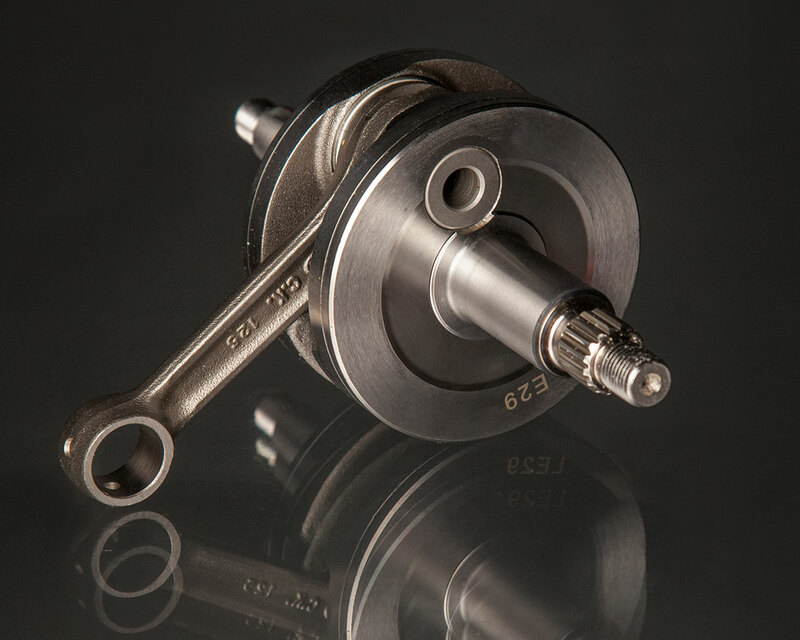 Crankshaft services for 2 & 4-stroke engines include cleaning and inspections of the crank, press it apart, polish the pin bores, press a new rod kit and then true the crank to factory recommended specs. Special consideration is given to 4-stroke cranks, like checking the journal surfaces and polishing, deburring cam gears, flushing oil passages, pressing and truing with new parts, and pin welding for safety. Crank service labor for all press together and bolt together 2-Stroke and 4-Stroke cranks 295 cc and below is $89.95. 300 cc and up is $115.45. This does not include any parts.